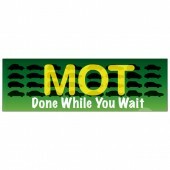 Looking for a way to advertise MOT, servicing, tyres and other car maintenance? 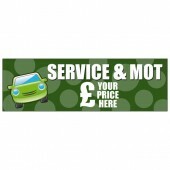 Promote your garage services with a fantastic Garage Banner from Discount Banners. Our Garage Banners are printed on high quality, weather resistant PVC and use eco-friendly, UV stable inks so that you have a full colour Garage Banner that lasts in all weathers. 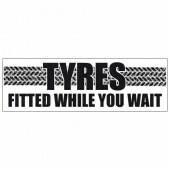 We have a range of pre-designed Garage Banners available to you but if you would like to personalise or make some amendments to any of our Garage Banners please call and speak to one of our advisors on 0844 800 1020. The Garage Banners are available in two sizes, 8’x2’ or 10’x3’ so you can choose one which best meets your requirements. 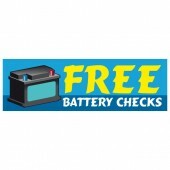 Once your order has been placed you should receive your Garage Banner within 2-5 days.